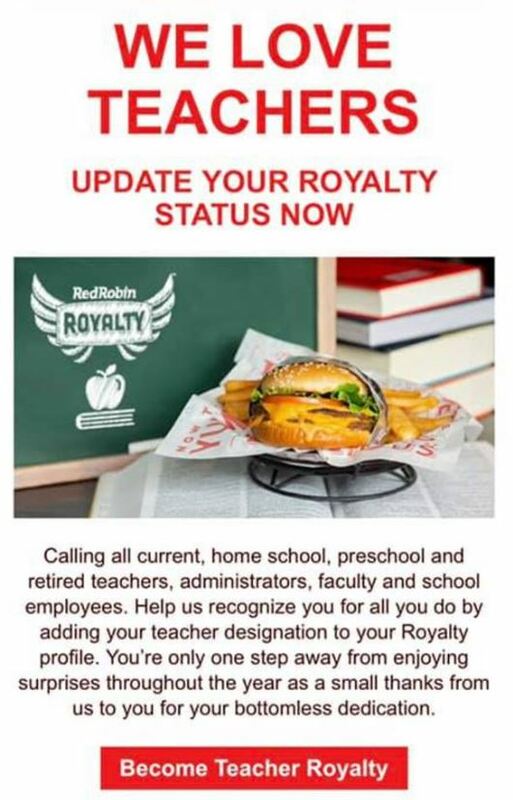 Check out these Red Robin Discounts – Teachers can receive discounts all year from Red Robin – make sure to update your account! Red Robin has just added a new component to their Red Robin Loyalty program. They are now offering teacher discounts available thru the rewards program. All you need to do is make sure you head to your account and edit your profile to make sure you have added your status as a teacher or school professional. Homeschool parents can also sign up. You can even sign up if you are retired as a school professional – how awesome is that! 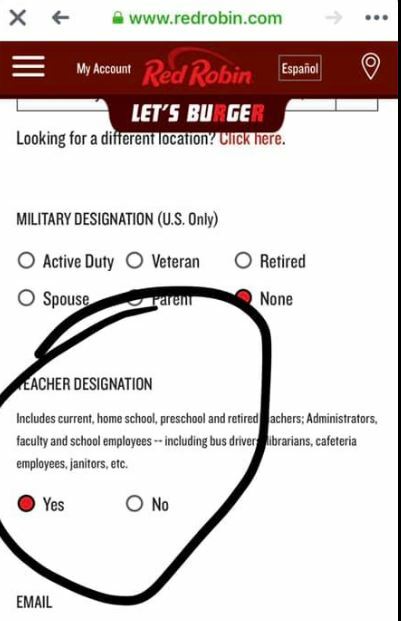 Scroll to the bottom of the page & it will say “Teacher designation” & here you can change your status. We also have a BIG list of Kids Eat Free locations around the NW & around the country with a free printable for you to print off & keep on your fridge! Thanks to my friend Heidi for sharing this great tip!